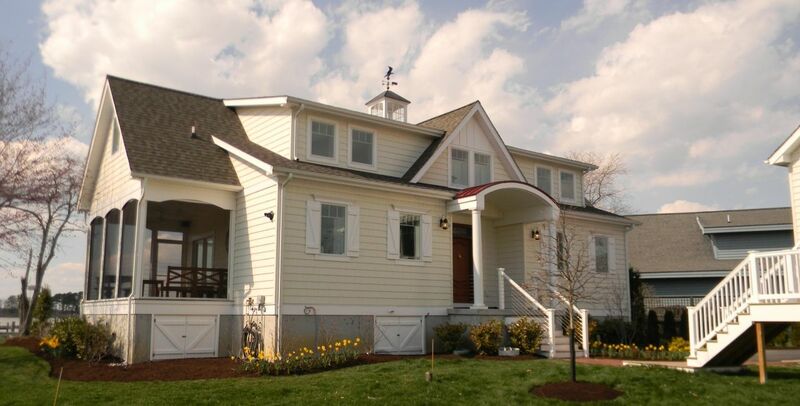 We offer custom design home construction on the Eastern Shore of Maryland and Kent-Sussex Counties in Delaware. We can assist you in finding the ideal lot or build on a lot you own. The homes shown are just a sampling of the models we can build or bring your own design and we will tailor the design to your wants and needs. Our custom home offer the same high quality amenities as our community homes at a very affordable price. Contact us to schedule an appointment for pricing. We can offer construction financing for custom home projects. Prices listed are for HOME ONLY. Please consult our sales team for site work and permits cost. Visit our Model Home in Dover to discover how we can assist you in building your dream custom home. Plans & Elevations may show options. Homes include all of our standards- Granite- tile-Hardwood-9' ceilings-Full Window Trim-2x6 Exterior walls with Conditioned Crawl Space. 1st Floor master suite plus living area with vaulted ceiling and overlook from second floor. Modern Farmhouse with Open Floor Plan Second fllor includes 4 large bedroom plus overlook loft area. Open floor plan with 3 or 4 bedrooms on the second floor. Expandable Plan with two story entry and Family Room. Expansive Reversed Floor Plan Home.